A nice discovery in a tennis game that makes players destroy opponents blocks on their side of the court in a Break-Out style. 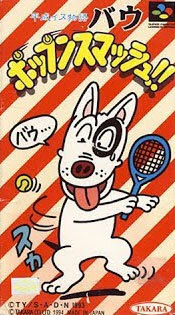 An array of players from our hero dog with mallet for a racket, to dog with bone for a racket and even a girl with a racket. Some strange locales as well that may not get approved by the LTS such as the haunted arena. 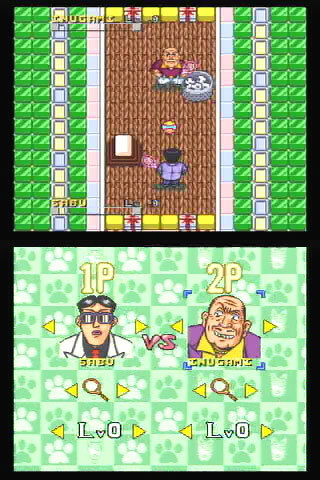 Full title: Heisei Inu Monogatari Bow Pop N Smash.